ATG denotes Art Technology Group an eCommerce software company acquired by Oracle. 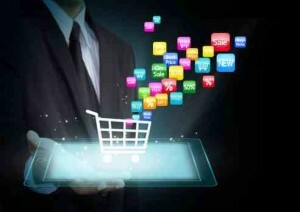 ATG eCommerce deals with eCommerce and Commerce related software optimization applications. It offers relevant, engaging and quality customer service that leads to higher sales and royalty. This is the best platform for both online and content marketing and it not only helps to reach many customers, but also enhances instant feedback. It is a business related technology meant to increase monetary growth. App developer solutions enable businesses to provide integrative online customer experiences with a complex merchandising, marketing, content personalization, automatic recommendations, and live-help services. ATG Commerce uses special software by an app developer which translates software, maintains and develops programs for use in business. ATG older version to ATG newer version migration. Design portals for businesses on an ATG interwoven oracle platform. ATG integration with leading industry application servers, databases, and portals. ATG Commerce provides professional expertise at all levels of system development, implementation, operationalization and maintenance. There are eCommerce web developer experts at affordable rates for allÂ eCommerce shopping cart requirements. Resource Point LLC provides a wide range of top notch app developers who can work onsite or offsite, temporary or permanent, part time or full time. The experts can work with optimal mix of internal staff and project outsourcing. Why does every business need ATG Commerce? Most of the issues discussed earlier have captured answers to this question.Â However, we can add to those that in modern times serious businesses that intend to maximize profits have gone online. E-commerce is key to modern businesses and in order for effective and efficient operations, proper systems must be put in place. Modern information and communication technology has brought great transformation in the commerce and business world from the ATG eCommerce app developer. ATG Commerce helps in many ways including customer royalty and retention, improving brand diversification and revenue, establishing proper environments.